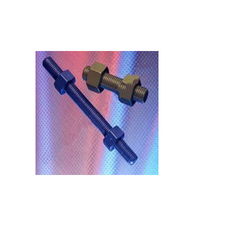 Our product range includes a wide range of ptfe coated studs and fluoropolymers xylan coating. With in-depth expertise, we manufacture and supply a rich range of PTFE Coated Studs that provides exceptional corrosion resistance, low coefficient of friction, consistent tensioning and subsequent ease of installation and removal attributes. 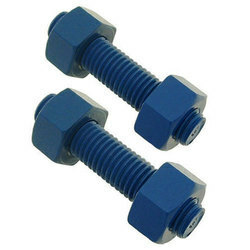 These fluoropolymer-coated fasteners are offered after extensive testing to ensure that these have a longer service life. Our products are manufactured using high-quality raw materials using advanced technologies and we offer these products in different specifications. Fluoropolymers Xylan Coating : PTFE is one of many possible fluoropolymers. They are not synonymous as fluoropolymer is a family of compounds and PTFE is a specific fluoropolymer. Fluorocarbons are a much larger family of compounds and is very non-specific.